It gets bigger and better every year. And why shouldn’t it? 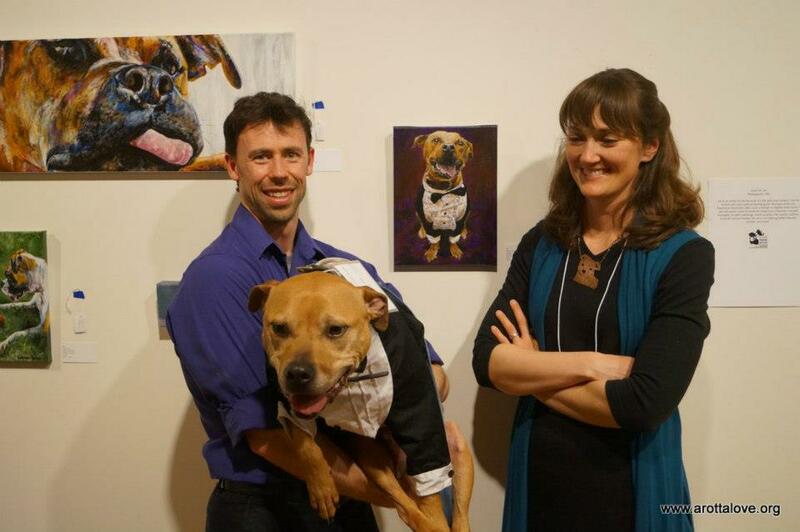 Dogs plus art equals fun! 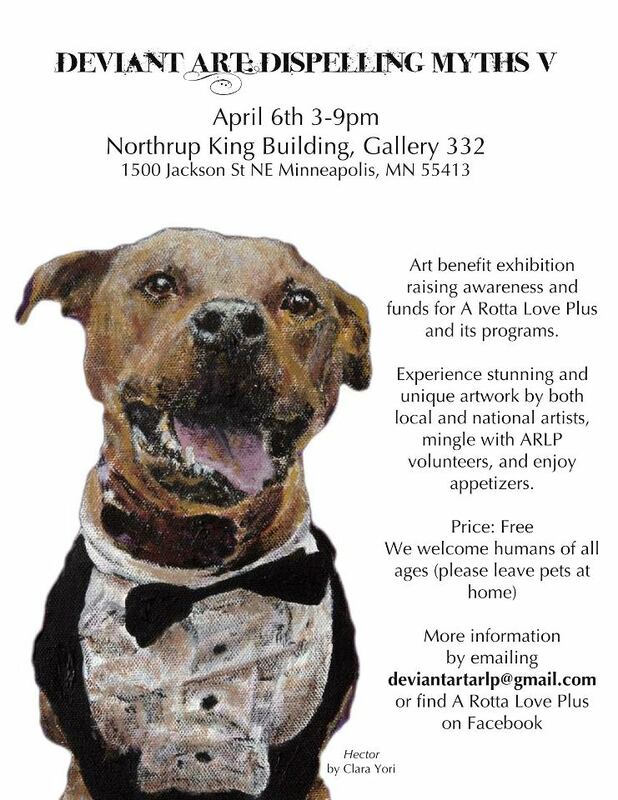 Deviant Art – Dispelling Myths is an inspirational event that raises money for A Rotta Love Plus, a group that finds every way they can to help dogs in need. You can see event photos on A Rotta Love’s Facebook page and on my Facebook page. I was honored to be the featured artist this year, however, I think my dogs may have stolen the show. Wallace and Hector were not only stars in some of my work, they also created their own art (which sold, of course), and charmed the pants off of everyone. I really don’t mind. I’m used to it. They are much better at being in the spotlight than I am. They deserve it and relish it. And as of yesterday, they are both fighting for their lives. 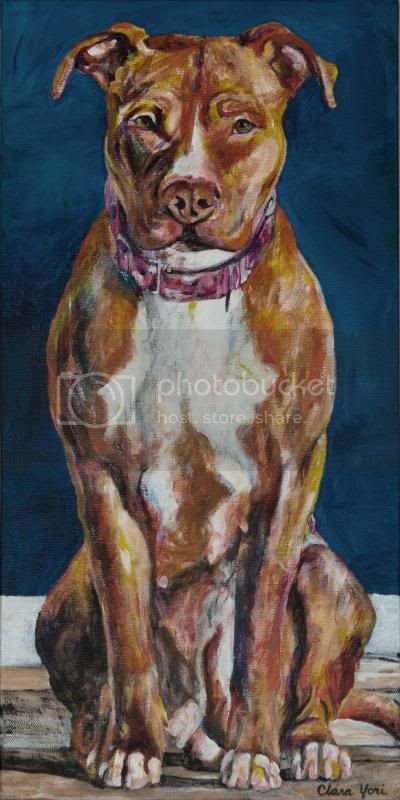 Tonight I dedicate my post, my thoughts, and my heart to my pit bull boys. Wallace has been surviving hemangiosarcoma for over seven months… much longer than expected. I love every moment with him, even (especially?) when he’s being naughty. Hector now has a similar and yet more complicated splenic mass. Tonight we decide course of action to take for him. Tonight while he sits in a kennel at the University of Minnesota, I think of him wearing his tux and smiling his dorky lopsided grin.